Journals are great for the soul, and even better to read on down the line. They are crucial in understanding the person that you are, and the person that you are becoming. The same applies for finances. If you like buying expensive perfume when you are fighting with your boyfriend, then you must write about it vehemently, and display it in a way that will show you just how much it affects you. This way, you can align your emotional extremities up with your financial extremities, and come up with a combative plan to avoid unnecessary losses. Today I bought my first money journal, and I can’t wait to write in it daily recording…everything! I want to show you how you can use a money journal to introduce YOU to what I like to call your “spending self.” If used properly, your journal will educate you on what motivates you to spend. It affords you the opportunity to identify your spending triggers and in turn show you ways to cut back on spending and save more money. Doesn’t that sound wonderful? Purchase your Money Journal: This step is completely up to you. I went to Target and purchased a small MEAD spiral for a buck 50. 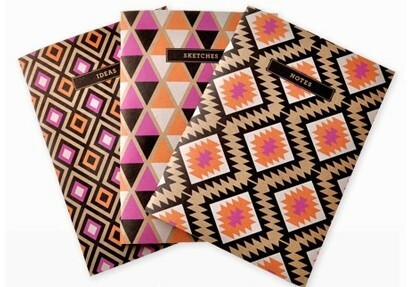 You may be an “app” girl, or you may choose to get one of the mini composition notebooks. Either way, this is entirely your choice. However, I wouldn’t recommend spending a boatload on something that will be conserving you money! Document your daily spending: This is the one of the most imperative parts of possessing a money journal. You absolutely must write down every single dime that you spend, and more importantly, why you spend it. This is because many women are prone to impulsive and emotional spending. This kind of spending can get very ugly, very fast. Document your spending with the intent to really understand your precise reasons for spending. After a month, assess your records: Why do you spend? The path to financial freedom begins once you identify the crux of your spending and how you can cut these costs. Your goal is to gain control of yourself, your impulses, and ultimately your finances. You can do this by adequately documenting and assessing the money you spend and why you spend it. After assessing your pattern, decide on your plan of action, and how you will ensure that casual expenditures do not continue to occur. Establish and make changes accordingly: You have documented your spending for at least a month, and you realize that when you feel down, you often buy expensive jewelry. However, you have noticed that in a month you have a ton of jewelry that you do not even wear! You also notice that you are in a financial crunch and you savings are dwindling! This is an apparent problem that you must combat as the owner of a money journal. Wash, Rinse, and Repeat: Every month, you should gain new information in your inventory that is going to show you weak areas in your spending habits. You must take action, and actively participate in implementing the tactics that will enforce financial competency. Take control of your finances; you can do it! The moment you see how much you can save, you will be so proud. Have You Met Your Spending Self?